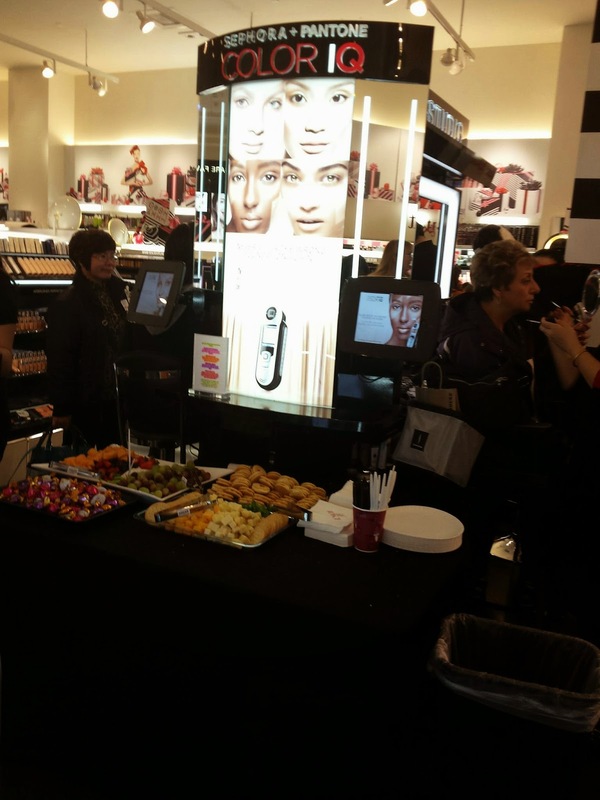 Last Wednesday, I went to the Sephora VIB Rouge event with a friend. We went to the one at Southcenter Mall and the store was closed at 7pm so VIB Rouge members + a guest could have the store to themselves. 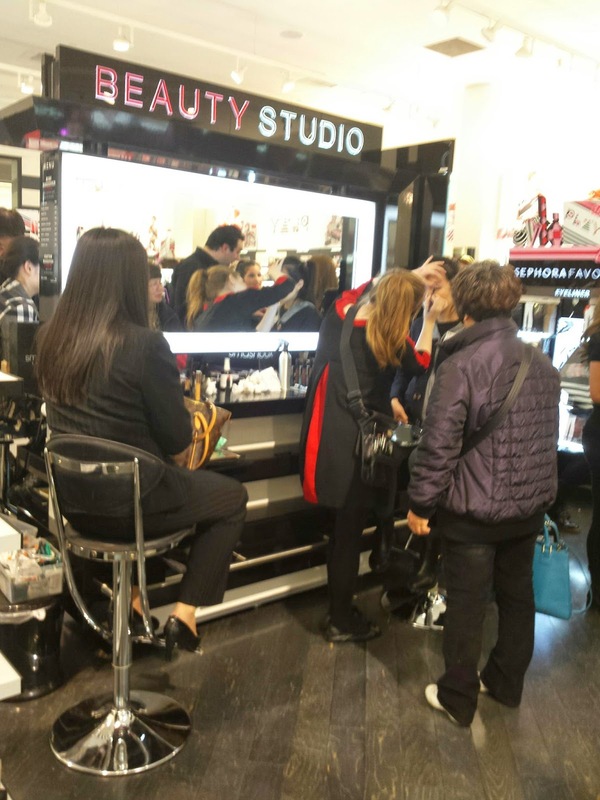 There were different vendors in attendance along with different beauty treatments available for attendees. They were serving cider and water to guests along with a cute setting of different treats. Right by the food at the beauty center is where they were giving customers different makeovers including, eyebrows, dark lips, eyeliner tips, etc. The only service I wanted to try out was for my hair with the courtesy of Bumble and Bumble. 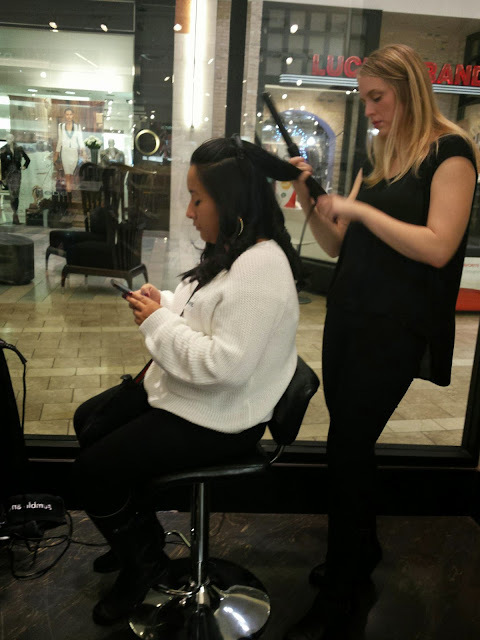 I asked the stylist, Dailey, from Salon Mogano, on tips for curling my super long hair. She recommended using a thicker barrel curling wand with even heating and to wrap my hair away from the face in vertical sections. 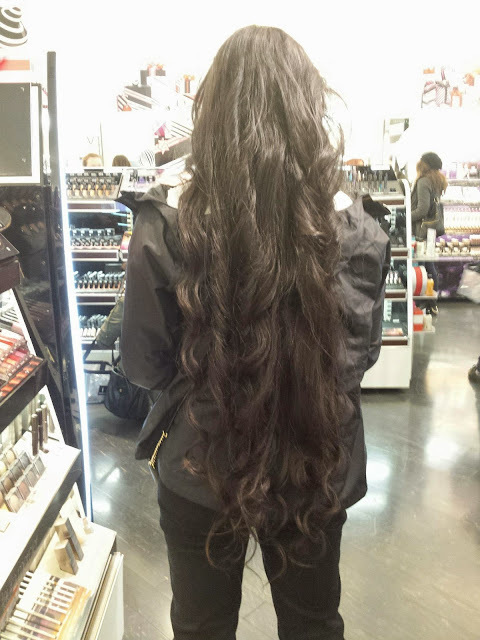 I usually do this if I ever decide to curl my hair, but I realized the wand and barrel really does make a difference! The one she used heated up quickly and evenly and she was able to curl my whole head around 10 minutes. 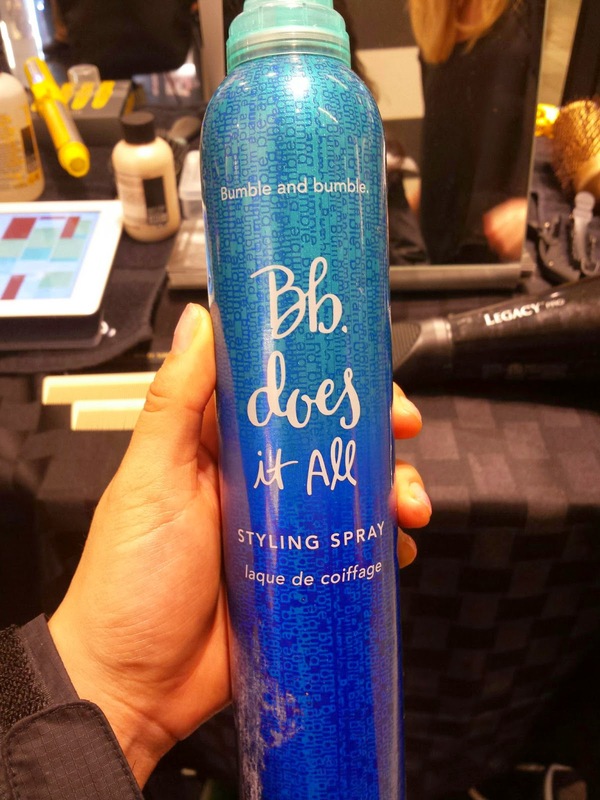 To touch up the hair to leave it lightweight, yet giving some hold, she sprayed the Bb. does it all styling spray all over. I didn't care for the smell on this one as much but it did hold my hair without making it feel heavy. 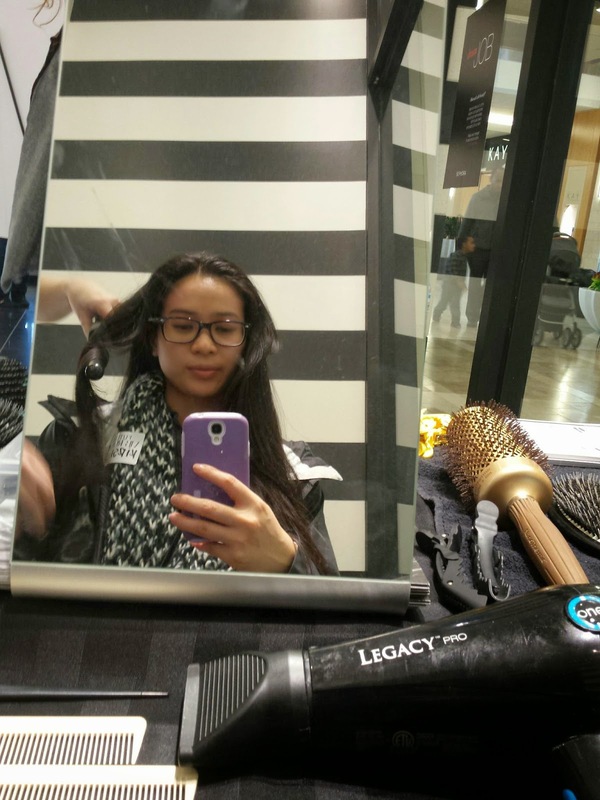 For texture and some volume at the roots, she used the Bb. 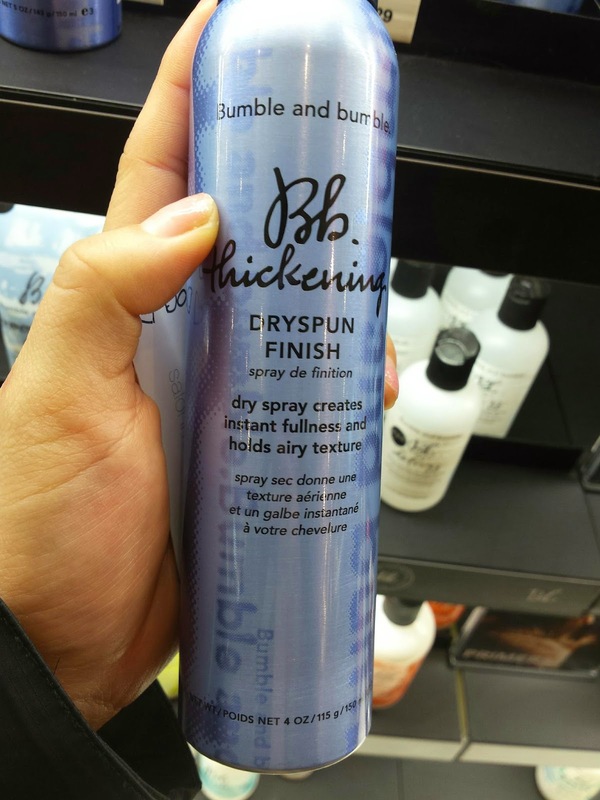 thickening dryspun finish spray. I fell in love with this product when she used it on me. I love the way it smells and how my hair looked after she used it. And here is the final product of my hair! 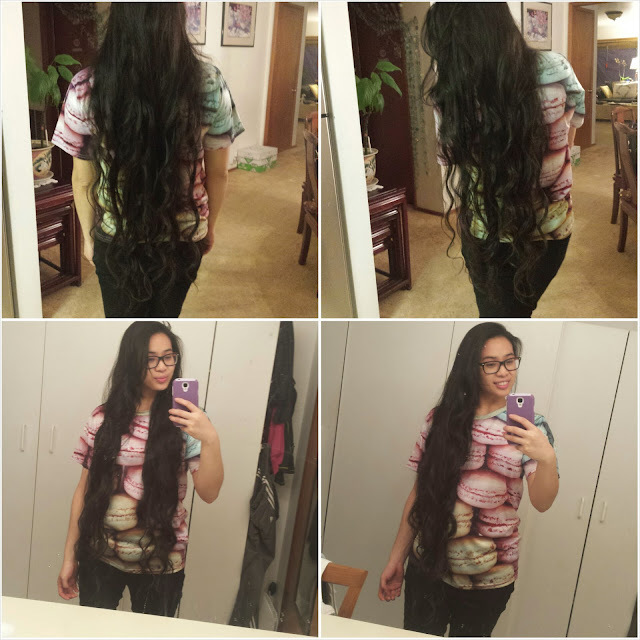 I loved how soft it turned out and how it is more wavy/natural looking, yet defined at the ends. It held up well the day after as well. I may now have to invest in an even barrel curling wand. Those tapered ones just don't do it for my long hair! Here's a better look at my hair without wearing all black. Just a reminder, the sale ends on Monday so make sure you get a chance to use your 20% off code! 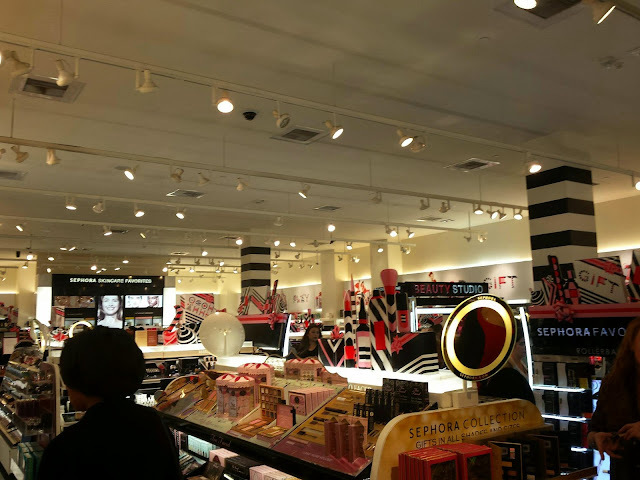 Since I also have a friends and family discount code, for thsoe who are neither VIB or VIB Rouge members, you can use the code VPYDAC6Z672X. I believe this is a one time code, so this code is up for grabs first come first serve! Readers, have you purchased anything from the Sephora VIB sale yet? 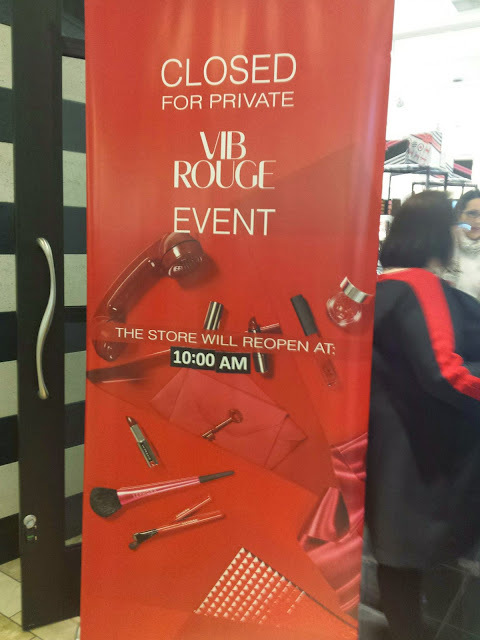 Did any of you attend the VIB Rouge events? Let me know! I had to work that night and I was so bummed that I missed out on the event! :/ Though, I was still able to place a few orders online... but I'll be posting about that later ;) I'd love to see what you got too! Also, your hair lookes amaaaaazing! 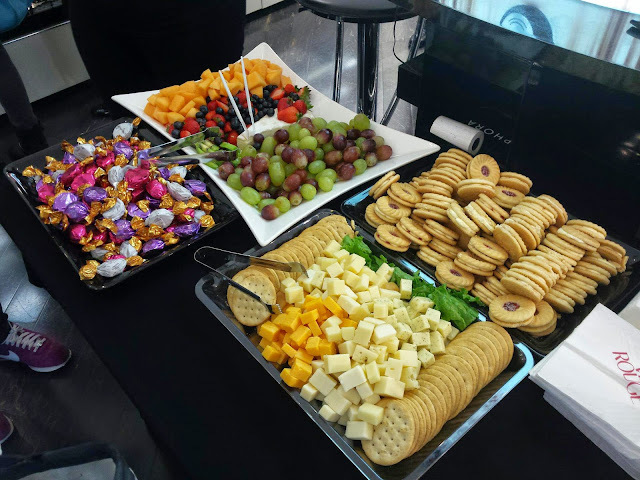 Ooh i'll definitely share! I didn't go to crazy haha, but of course had to get one lippie >.< Can't wait to see the goodies you got too!